5 Bedroom Detached House For Sale in Ashtead for Asking Price £1,400,000. 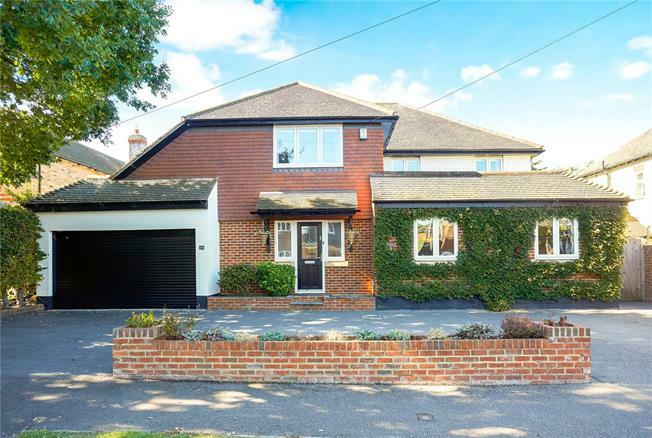 This exceptional detached house in popular Ashtead measures over 4300sq feet and offers superb living space with five good-sized bedrooms, perfect for a large family. The ground floor has plenty of reception rooms including a stunning open-plan kitchen and familiy room with bi-folding doors onto the garden, a sitting room that also opens onto the garden, a family/play room, dining room and study. On the lower floor is a full-length games room that's big enough to house two full-size snooker tables and a gym at one end. The bedrooms on the upper floor all contain built-in wardrobes and three of them are ensuite with a fourth bathroom servicing the remaining two bedrooms. The house has a generous garage and plenty of off-street parking for additional cars, and a lovely west-facing garden with patio, ideal for afternoon sun and alfresco dining. The house was built to a very high standard in 2008 by its current owners, is wonderfully bright and airy, and has an extremely contemporary and neutral decor throughout which makes it the ideal long-term family home for any discerning buyer who loves to entertain and impress.